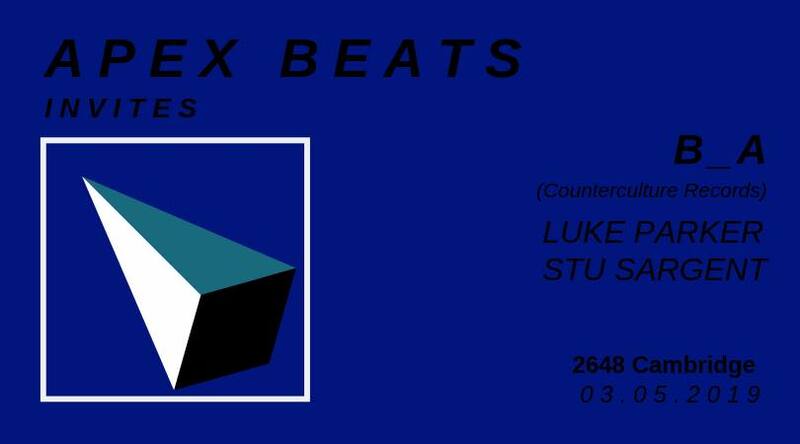 Apex Beats is back to 2648 for their third instalment, welcoming DJ B_A. Local boy resident Ben Ashton is invited down to the basement to grace the decks. B_A is big in the minimal scene on Australia, having is own record label “Counterculture Records” and 2 releases. With all this achievements it’s fair to say that he’ll be bringing the bombs with him on the 3rd May.